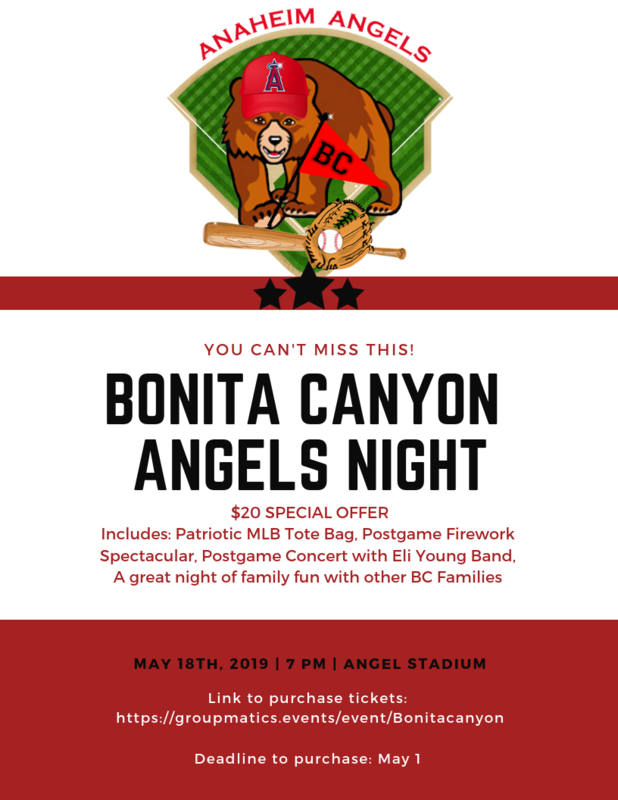 Join us on Saturday May 18 at 7pm to watch the Angels take on the Kansas City Royals. 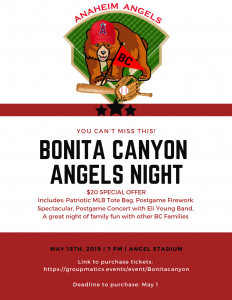 This special offer includes a fun night out with the Bonita Canyon community, a patriotic MLB Tote Bag, Postgame fireworks and concert. Tickets are only $20 each.